Deciding to participate in paid online surveys is a great way to make some extra cash every month with minimal effort. To help you maximize your earning potential, we want to share a bit of background knowledge on online surveys and how they work. The only thing you need to complete paid online surveys is access to the internet and a device on which you answer survey questions. This means that you can do surveys anytime, anywhere. On the train to work? You can squeeze in a few surveys. Sitting at a café that has Wi-Fi? You can kill time by answering survey questions. So long as you have a laptop, smartphone, tablet, or other device and reliable internet, you can do surveys whenever you want. Another important thing you need to know about online surveys is how much money you can realistically make. Before setting out on your online survey journey, keep in mind that this isn’t a way to become a millionaire or a way to replace your day job. You can, however, take share your opinion to make a few hundred bucks to pay for your utilities, credit card debt, monthly groceries, or car payment. As a general rule of thumb, commit to taking a few surveys every day if you want to make anywhere from $300-$600 a month. To increase your earning potential, you might consider signing up for multiple websites that offer rewards for survey participants. By being active on more sites and answering more surveys, you give yourself the chance to earn more money. Also, before you sign up for different platforms, it is worth doing some research on the various websites that administer paid surveys. This way you can know which websites offer higher quality, paid opportunities and which ones might not be worth your time. Another way to increase your income potential is by keeping an eye out for online focus groups. These aren’t as common as paid online surveys, but when the opportunity presents itself, it’s worth a shot. Focus groups can pay $200 for participating and in rare cases, even more than that. There are just a few more things you might want to know before you get started taking online surveys. For example, if you plan on taking a break from participating for several weeks, you might want to notify the website so they don’t close your account. 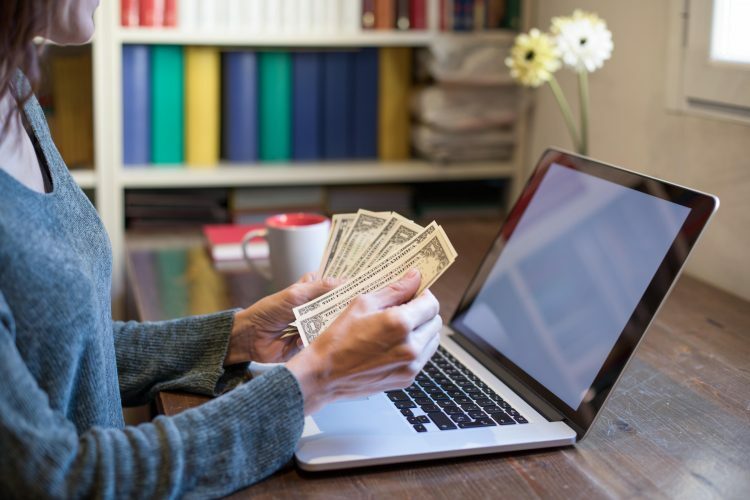 And when it comes to earnings, keep in mind that after you make $600, you will need to prepare to receive a 1099 and keep track of your income for tax purposes. Lastly, some websites will pay you in the form of free gift cards rather than depositing money into your PayPal account. iRazoo is a great place to start your online survey side hustle. It’s easy to sign up, easy to use, and a great way to burn time. If you still want to know more about how to maximize your earnings, be sure to check out the iRazoo blog for tips.